The Eight Extraordinary Meridians have many names — The Eight Miraculous Meridians, The Eight Deep Pathways, The Eight Strange Flows, The Eight Miscellaneous Channels, The Eight Original Meridians... They are the deep, primary and core energy channels in the body, said to originate at conception, and to structure the familiar, common, shape of the human body. They underlie the more familiar 12 organ meridians, known and used in Acupuncture. The Qigong practices described here provide a training in how to access, open, develop and cultivate the Eight Extraordinary Meridians - how to turn them on, and put them under your conscious control. It is a 'Nei Dan' form of internal practice, in contrast to 'Wei Dan' external styles of Qigong, and it is an essential foundation for all higher forms of Daoist Inner Alchemy training and practice. The Eight Extraordinary Meridians are common to all forms and styles of Qigong, as they underlie everything else. This is a valuable knowledge for primary self-control and personal evolution. The training outlined in this document is a unique program, not available from any other source. This document is the result of 25 years of teaching. It is a work in progress. The material covers a developmental training in how to progressively access and open the Eight Extraordinary Meridians, which are the sub-structure of the whole energy system. It is comparable to learning the anatomy and physiology of the physical body, and how to operate it. My original teacher in the early 1980s was Master Mantak Chia, and acknowledgement and special thanks are due to him and his assistants at the time - Gunther Weil and Michael Winn. This initial training provided the primary inspiration for this body of work. My background and training in Classical Daoist Acupuncture, and my previous experience as a choreographer and director of The Natural Dance Workshop (London and Europe, 1975 — 1981), provided a foundation and freedom to work creatively with these practices over the years. This program has been taught in a weekly, 1.5 hour, class format since 1983. This format was used because it was found that this was what worked for people in ordinary, everyday, life. The material has been modified and developed accordingly to fit this 1.5 hour format. Beginning as a 6 week series, it has evolved into a 9 month training program. The early stages consisted of The Inner Smile, The Ba Gua and The Microsmic Orbit. In the late 1980s The Healing Sounds, Cleansing the Emotions and Cultivation of the Virtues were added. From the early 1990s this developed to include the The Belt Channel/Dai Mo, The Thrusting Channel/Chong Mo, the Bridge Channels/Yin & Yang Qiao Mo, and the Linking Channels/Yin & Yang Wei Mo. And then the Master and Couple points were added. The program is presented here in a progression that constitutes one complete sequence — starting with Smiling at Yourself and ending with the whole system activated. However, specific parts and sections can be used and applied as needed or desired. 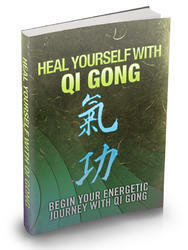 It is advisable to read the accompanying 'Introduction To Qigong' before beginning these practices. In a weekly class situation each of these practices was preceded by a short lecture and overview, and this 'Introduction' serves some of the same purpose. This material is continually evolving. During the process of development over the years, the teaching of specific practices changes from time to time. The sequence, progression and content change, and time considerations alter rhythm, pace and timing. Accordingly, some of this information is presented in the sense of basic information that does not change — the underlying primary laws and principles of the energy system and The Dao. Once these basic principles are understood and integrated it is possible to vary, alter and adapt any given practice in a variety of ways, for a range of purposes and situations. If you do modify the practices once they are familiar to you, use your best judgement. Try it out and see for yourself. Proceed carefully, adapting as you need to. Always return to basic principles. My sincerest hope is that this document provides a practical aid to the practice of these most important channels, The Eight Extraordinary Meridians, and that this will result in the development and cultivation of your Qi - the Life inside you. Smile at yourself - to relax internally and prepare for further practice. This simple process is a way of sending your own warm, gentle, loving energy to yourself. It releases tension and stress, and generates deep relaxation. It calms your emotions, refreshes your sense organs, and stimulates the tissues. It also makes you feel good. Using your mind, think of and activate these correspondences when you smile at each organ. In each organ you can hold the healing energy of your smile for as long as you wish, or for the count of a certain number of breaths, or until you feel it overflow. This is indicated by the instruction "Hold your Qi there." Sit on the front edge of a chair with both feet flat on the floor, knees parallel and shoulder-width apart. Relax. Clasp your hands in front of you in your lap, left palm facing upwards and right palm facing downwards on top of it, to seal-in your Qi. This is a remarkably stable sitting position, and can be maintained for extended periods of time. This exercise can also be performed lying down, in which case clasp your hands, as above, and let them rest on your abdomen. Close your eyes and clear your mind. If unrelated thoughts occur, gently let them go, like letting go of a balloon, and then bring your attention back inside yourself. Pay attention to how you feel. - Using your mind, activate a memory, thought, image, or picture which causes you to smile - one of those soft, warm, friendly smiles that gently softens the corners of your mouth. - The corners of the mouth are very special energy points. They are the Meeting Points of the two major channels which run up the midline of the body on the front and back, and separate us into left and right halves. Running up the midline of the front is The Conception Vessel/ Ren Mo which ends in the center of the lower lip. Running up the midline of the back and over the top of the head is The Governing Vessel/Du Mo which ends in the center of the top lip. The corners of the mouth are energy points - numbered in Acupuncture as Stomach 4 and called Earth Granary - which are meeting points for these two major channels. The warmth that you might feel there when you smile is the Qi/Energy gathering and accumulating. - Let the warm, soft, gentle energy of this smile increase. Your mind leads your energy, so, using your mind, bring this smiling energy to the point in the middle of your forehead between your eyebrows. This point is called The Original Cavity of the Spirit/Yin Tang. Allow your Qi/Energy to gather and accumulate there like warm water slowly filling a deep bowl, by breathing in to this point. Place the tip of your tongue in-between your two top front teeth, then run it upwards until it meets the roof of your mouth. Find the point there which tingles or feels 'right'. Placing the tip of your tongue in this location lets your energy flow through the internal energy pathways to your yin organs. Let your Qi/Energy overflow from your brow point. As you breathe in, draw this warm energy down from your brow through your tongue and throat to your Heart. Your heart is the size of a clenched fist. It is inside your chest, slightly to the left. All day long and every day your heart is working for you, to send blood and oxygen to every cell. This is an opportunity to thank your heart and to give it your love and care. Directing your energy with your mind, send your smiling, loving, energy to your heart. Think of and activate the following correspondences of your heart. As you slowly breathe in and out, hold your smiling energy in your heart and send it your love. Hold your mind there. Let your heart fill with smiling energy until it overflows. When your Qi/Energy overflows from your heart, send it to your lungs. Your two lungs are within your chest, surrounded by your rib cage, either side of your heart. All day long and every day your lungs are working for you, to bring the fresh clean energy of Heaven in to you, and to send out the old stale energy you have used. This is an opportunity to thank your lungs and to give them your love and care. Directing your energy with your mind, send the smiling, loving, energy to your lungs. 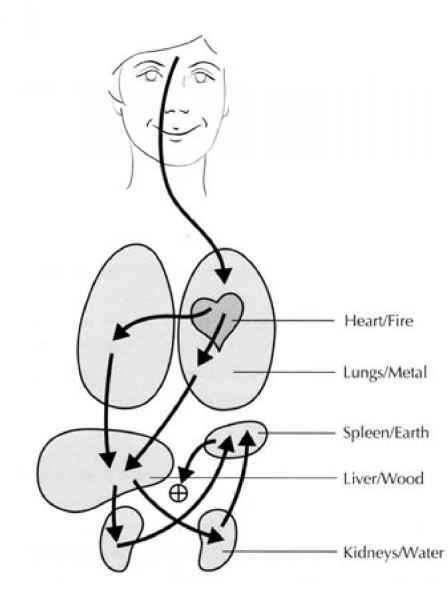 Think of and activate the following correspondences of your lungs. Which extraordinary meridiens does falun gong address?